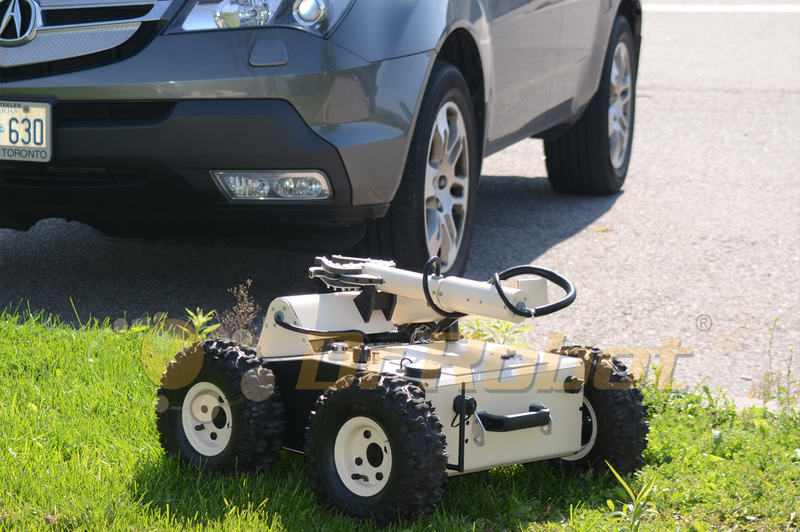 Jaguar 4x4 Wheel with Arm Mobile Platform is designed for indoor and outdoor operation requiring higher ground clearance and faster maneuverability. 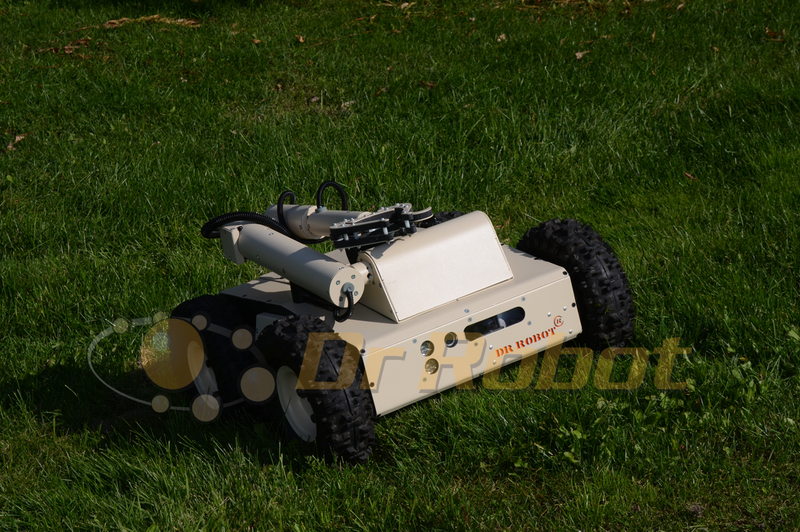 it comes with a rugged 3+1DOF robotic arm (Jaguar Arm), Jaguar Arm is light on weight, low on power consumption and compact on size. 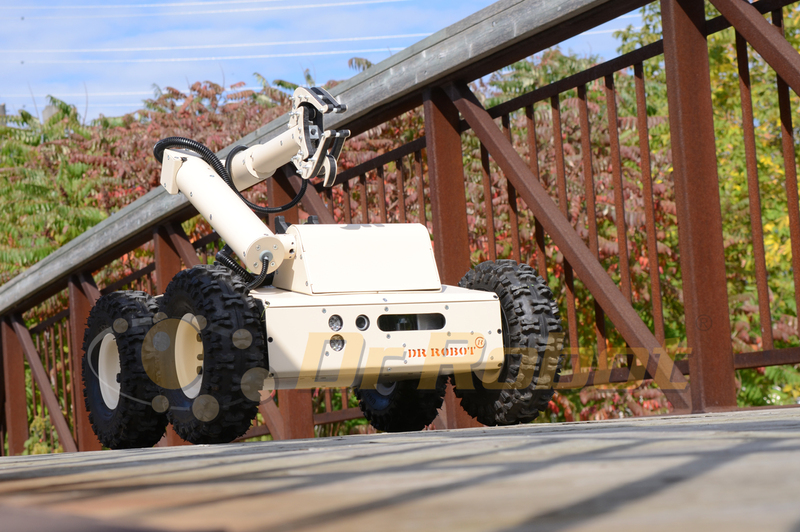 It has 3 DOF + 1 DOF gripper, with maximum reach of over 710mm (28 in), max payload capacity of 4Kg at max reach, while weights under 10Kg. Wrist mounted color video camera provides high resolution (640x480) close-up view. Jaguar Arm is ideal or object inspection and handling. It could also work as an articulated sensor platform. Integrated software features independent joint space control as well as gripper Cartesian space control. 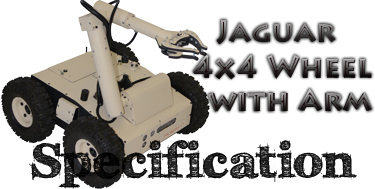 While it only has 3 rotation joints (excluding gripper), when working together with the Jaguar 4x4 Wheel mobile robot, Jaguar Arm could achieve full 6DOF, and reach virtually any position and at any orientation within its allowed working space. Jaguar 4x4 Wheel with Arm Mobile Platform is driven by four powerful (105W) motors, one for each wheel. 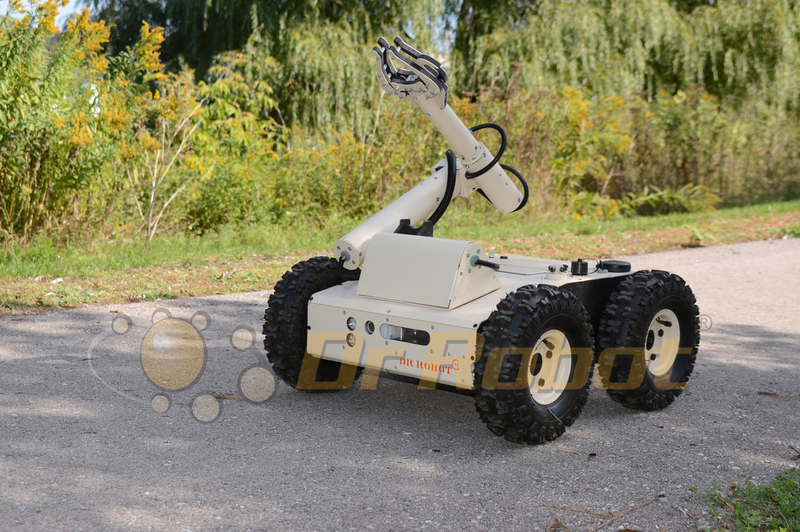 This platform is rugged, light weight (< 33Kg), fast (max 9km/hr), with high ground clearance (88mm), compact, weather and water resistant. It is designed for tough terrains and capable of running over vertical step up to 155mm and climbing up low rise stairs (up to 110mm step). 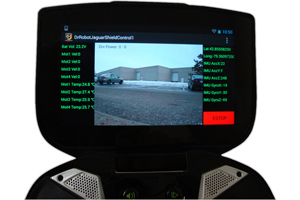 Jaguar 4x4 wheel with Arm Platform is fully wirelessly 802.11N connected. 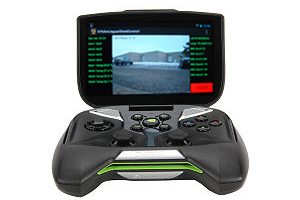 It integrates outdoor GPS and 9 DOF IMU (Gyro/Accelerometer/Compass) for autonomous navigation. 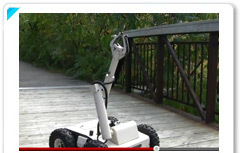 The integrated high resolution video/audio and optional laser scanner provide remote operator detail information of the surrounding. Besides the ready to use control and navigation software, a full development kit including SDK, data protocol and sample codes, is also available.